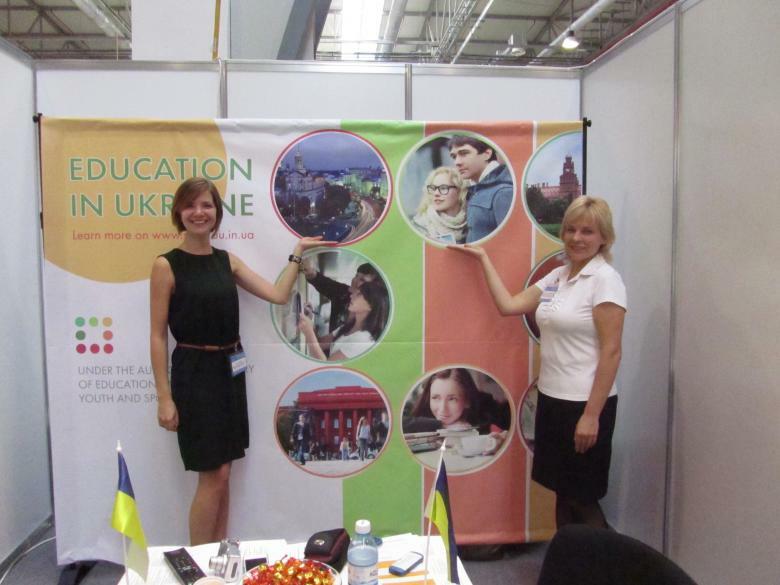 Ukrainian education has been presented at the educational exhibitions of Kazakhstan and Azerbaijan | See you in Ukraine! 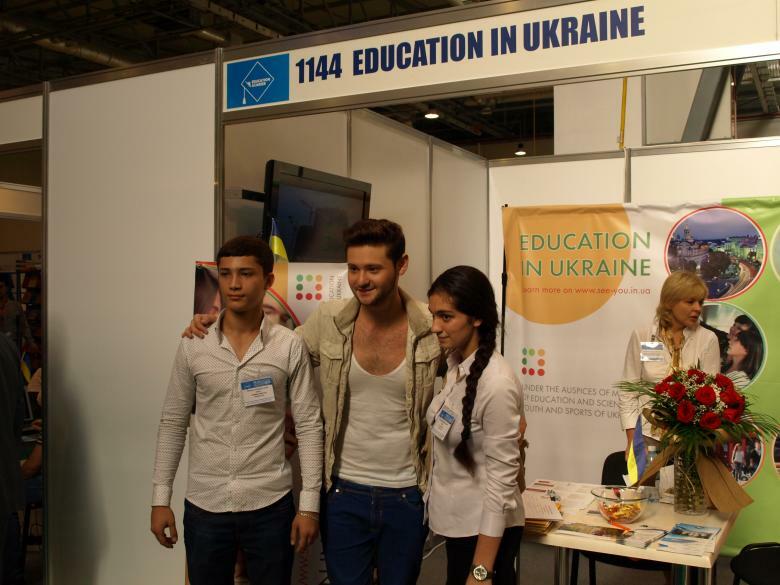 On September, 23 2012 a project presentation “Education system of Ukraine” has been presented atInternational Educational Exhibition “A2 FallKazakhstanFair”, organized with the help of the Ministry ofEducation and Science in Kazakhstan. The participants were: the Consul general of Ukraine in Almaty Liudmila Protasova, representatives of the Ministry of Education and Science, Youth and Sport in Ukraine – state enterprise “Informationalimage centre”, representatives of Ukrainian universities, particularly Karazin Kharkiv National Universityand Kharkiv National University of Radionics. Liudmila Protasova, the Consul general of Ukraine in Almaty: “In my opinion, the presentation aboutthe system of higher education in Ukraine and the opportunities for the young Kazakhstan people hasutmost importance for modern Kazakhstan. Unlike the older generation of Kazakhstan people, manyof whom in soviet times were studying in Ukraine and have better memories both about the level ofeducation, professors and about the country as a whole, Kazakhstan youth unluckily lacks informationabout Ukraine and the prospects of education in our country. That is why this is the factor of primaryimportance for me being a diplomat, for building Ukrainian image and positioning Ukraine as a countrywith the high level of education and culture. I think Ukraine is highly competitive on the educationmarket and is ready for obtaining a large number of Kazakhstan students. A program of “accelerated industrial development” is now actively promoted. It demands training highquality specialists in many spheres. I am sure that Ukrainian universities are able to provide or at leasttake part in training such specialists for Kazakhstan. Not many people know that in September 2010 a bilateral treaty between the Ministry of Educationin Ukraine and the Ministry of Kazakhstan republic was signed. The treaty opens broad possibilities forsuch cooperation. Today there is an agreement between Taras Shevchenko National University in Kievand Gumilev Eurasian University in Astana not only about students’ exchange, but also pedagogicalexchange. I think this direction should be developed in order to promote scientific exchange andrestoring those contacts existed in the times of Soviet Union between our universities. competitiveness of specialists having Ukrainian diplomas at the labor market, the conditions ofentering and living in Ukraine while studying were spotlighted. 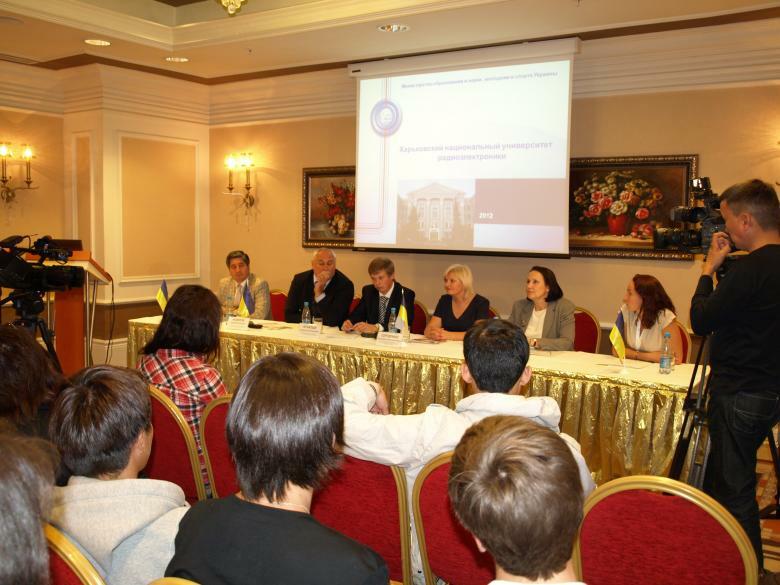 Presentation in Kazakhstan was the first step in the program of promoting Ukrainian education forforeign markets; the program is realized by the Ministry of Education and Science, Youth and Sport inUkraine. 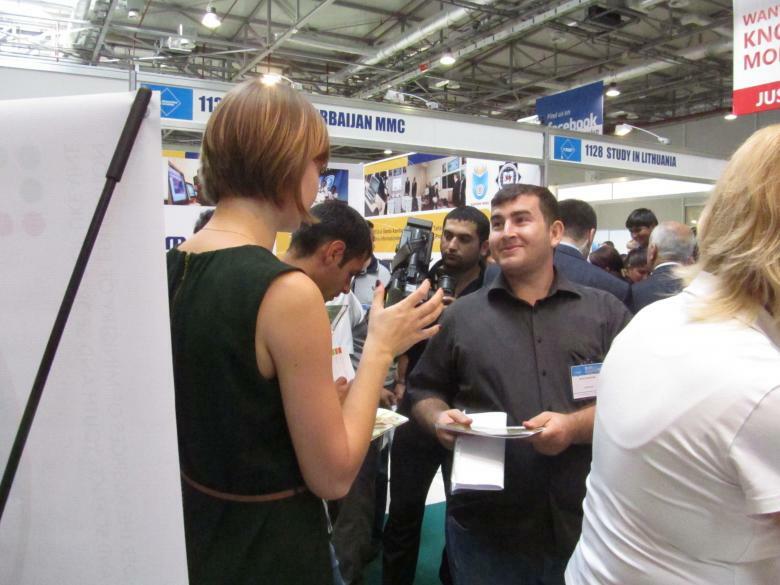 A few days earlier, on September 21, Ukraine has presented the benefits of local educationfor Azerbaijani audience. 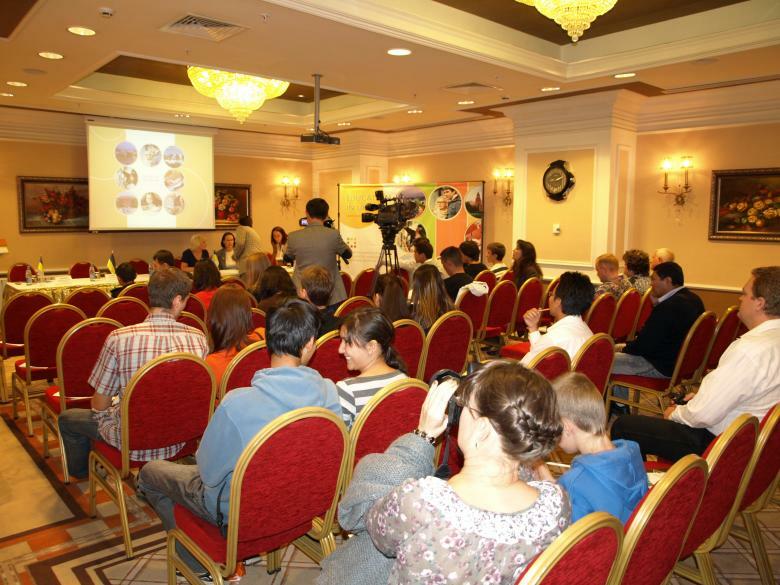 The presentation was held as a part of 6th Azerbaijani internationalexhibition “Education and career” – this is the only event at the governmental level officially supportedby the Ministry of Education in Azerbaijan. The presentation was visited by the representatives of Ukrainian embassy in Azerbaijan republic: councilor Rustam Rustamov and the third secretary on culturally-humanitarian and informational issuesYuriy Lupey. 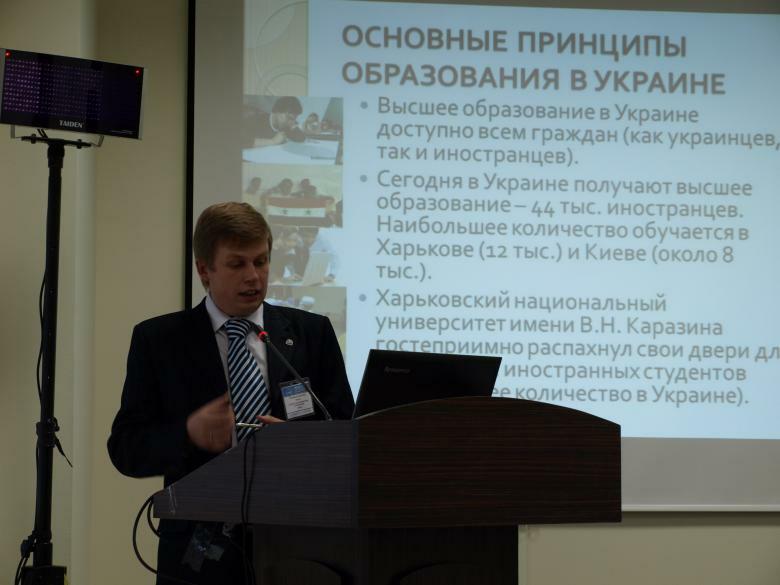 Vasiliy Shyk, the director of “Ukrainian governmental centre of international educationin Ukraine” under the Ministry of Education and Science, Youth and Sport in Ukraine, opened thepresentation. He scarcely described Ukraine and is educational system and also provided informationabout Ukrainian legal system towards Azerbaijani people living on the territory of Ukraine. He statedthat the citizens of Azerbaijan may come to Ukraine for 90 days without registration. In case whena citizen of Azerbaijan come to Ukraine for studying, the enrollee comes to Ukraine by invitation ofuniversity, chosen by the enrollee and after the interview the institution draws a student a temporaryresidence permit. Victoria Sergienko, the director of state enterprise “Informational-image centre” under the Ministryof Education and Science, Youth and Sport in Ukraine, reported that there were more than 90% ofUkrainian citizens who had secondary and higher education. 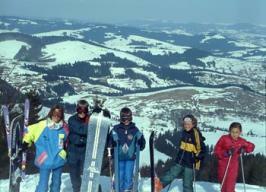 “Ukraine is among top ten countries inwhich there is the greatest number of foreign students. Ukraine is a tolerant country, and there are nointerracial, ethnic or religious conflicts.Studying in Ukraine, you spent less for living and education than you do in Europe while the level ofspecialists teaching in Ukraine meets the level of teaching in European Union and North America. Foreign students get diplomas of state standard in two languages and these diplomas are acknowledged in the whole world. ”The public warmly welcomed the audience speech of a representative of Kharkiv National University ofRadionics Murad Omarov, the director of the Education Centre for Foreign Citizens, whose motherlandis Azerbaijan. The interest towards presentation was also caused by the fact that technical specialties,offered by the university, are of great demand in Azerbaijan and Ukrainian programmers are very muchvalued at the international labor market. 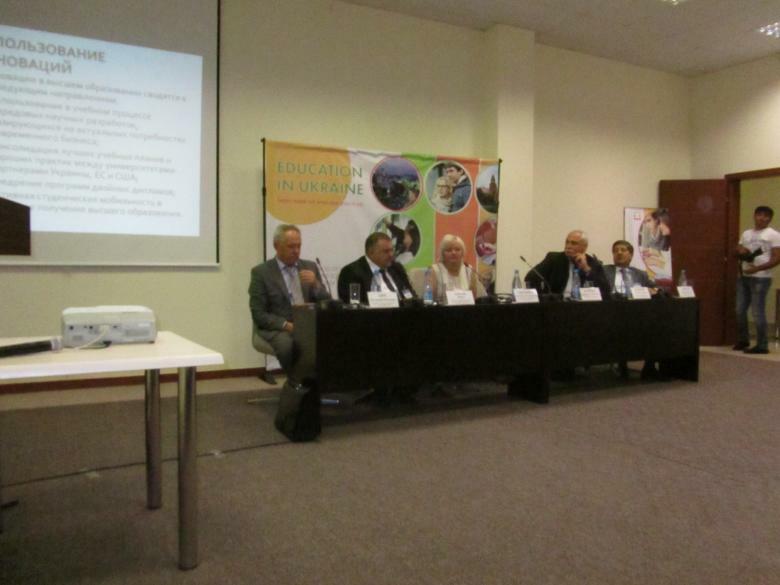 Stanislav Ignatiev, the director of the Centre of International Cooperation under Karazin KharkovNational University told about the innovations in the education system in Ukraine. According to hisstory, Ukraine’s joining the Bologna process not only increased the general level of higher education, butalso opened an opportunity for Ukrainian students’ job placement in Europe. I graduated from Kharkiv State University in 1991. The Kharkiv School of Theoretical Physics was known throughout the world. Now I work as a consulting engineer at an international company. My knowledge of the Ukrainian mentality and the skills of gripping any subject quickly, which I acquired at the university, have proven very helpful in my current job. The only recommendation I have for my countrymen who are going to come to Ukraine to study is that you must learn, first and foremost, that the front passenger seat in a car here is on the right side. The rest is easy to learn. This year I have graduated from a higher educational institution in Kyiv and obtained a diploma. Currently, I am an intern at an international travel company operating in Ukraine. In the future, I plan to manage the business of a Chinese company in Ukraine’s market. I have the necessary knowledge for this, and cooperation between our two countries is on the rise. Besides, I have many good friends here. I would like to warn my compatriots who want to come to Ukraine that winters here are the same as in the northern provinces of China. So, do not forget warm clothes. But it is much warmer in the houses. Two years ago I decided to enter an educational institution in Kyiv and now I am here, studying. First, it is cheaper than in Moscow. Second, I have relatives and friends here who can support me. And third, I looked for new impressions, new places, and new discoveries. Kyiv proved the right choice for me. It combinesbeauty, antiquity, and the rapid rhythm of life typical of other big cities! I would like to say to my countrymen who are contemplating study in Ukraine that I study here in Russian and communicate in Russian as well. As for Ukrainian, it is a friendly and understandable language. I can already speak it a little. It’s cool! Information and Image Center Mission "Ukraine-Cognita"